Norman the plumber listened patiently as one of his helpers presented a long soliloquy about what was wrong with the job they were on, why the morning was so difficult and how nothing that went wrong was his fault. This particular laborer was well known for his complaining. As they finished lunch and got ready to go back to work, the plumber addressed the issues and grievances of his underling. I was just a teenager, but that stuck with me. How many times do you wish people would just STFU and do their job? Yes you know exactly what I’m talking about. And don’t get me wrong, it’s advice I should heed more often. OK. You won the election, you’re the most powerful person in the world, now STFU and do your job. It turns out there’s an easy way to send feedback to the White House with a handy form on their website. 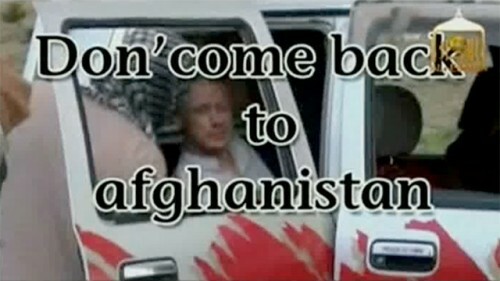 Maybe this would be a good time to send Mr. Trump a message that he’d surely understand. STFU and do your job. Really, the world would be so much better, and indeed, it would be a tremendous way to make America great again. 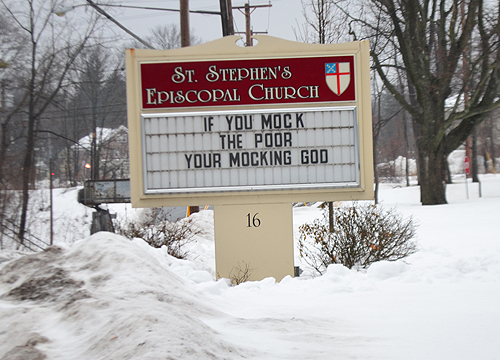 I would never mock the poor. I might mock your grammar, but never the poor. We had a lively discussion at home recently over Subway calling their counter people Sandwich Artists. My son contends that they are artists. The best of them, he argued, assemble sandwiches in a way that expresses great skill and creativity — and the really good Sandwich Artists bring transcendent quality to their work. There are, of course, also some hacks. I take the position that the Sandwich Artists might more accurately be described as sandwich technicians or sandwich engineers. After all, they are making the sandwich based on my set of specifications. I’m the one who decides that cucumbers and jalapenos would go well on my oven roasted chicken sub. It’s in Choosing these combinations of ingredients is the art, therefore I am the Sandwich Artist, not them. If they were artists they’d decide what to do independently. You’d walk into Subway and instead of ordering, just say, “Make me a sandwich!” The sandwich artist would then follow his muse and present me with something new and original, like in this funny piece from McSweeney’s. So who is the artist? It’s well-known that Andy Warhol used assistants to create his art. These crews followed his instructions to churn out work that sells today for millions of dollars — and you’ll never see their name on it. It was his creative vision, not theirs. They were sandwich makers, not Sandwich Artists. As always, thanks for visiting. And don’t spend too much time reading stuff like this at work, or you too could find yourself a Sandwich Artist. What’s the point of having a blog if you don’t complain about things you find mildly irritating? Like people who pronounce mozzarella mozzarell, dropping the ‘a’ at the end. Worse yet are those who say mootsarell. In some parts of Italy, the dropping of final vowels is common. Restaurant-goers and food shoppers in the United States ended up imitating southern and northern dialects, where speakers often do not speak their endings. So, like many things, it depends on your neighborhood — but dropping the ending is not universally more Italian than pronouncing it. Me? I’ll never do it, simply because when I say the words that way I feel like a stunad. While what was at first largely a Don Draper thing, now everybody is saying it, even his daughter Sally. And why not? What can mean so many different things depending on your intonation — but mostly it’s not an overwhelmingly positive way to respond. How many times a day would you like to just say what? Yeah, me too. 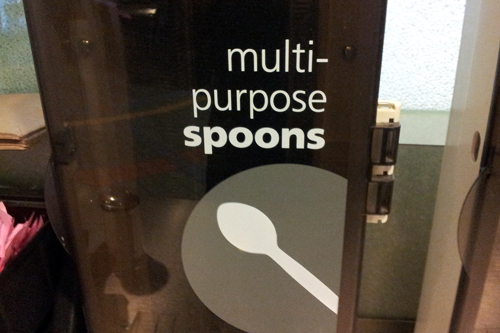 “Multi-purpose spoons?” I’ve gone through life thinking that spoons have one purpose, that is to scoop up food you intend to put in your mouth. While “multi-purpose,” sounds very modern, what do you suppose the other purposes could be? Or how about you just call them spoons, you idiots? As a rule, committees make things longer. Because of them it takes longer to get things done, they have longer meetings, and they spawn longer copy. If you fight the good fight against committees and others who impede progress, here are some great resources for you from Bidlack Creative Group, a design and communication firm in Ann Arbor. Print these and hand them up! You’ll learn more from these four pages than from a stack of business books.